I've had a few questions about my stream set up and I hope to answer it all in this post! I'll be running through my hardware set up as well as software. My way is not the "right" way of doing and I am in no way an expert in this as I'm still a n00b at streaming. If you have any suggestions that would help me improve my stream, do send it over to me on social media (namely Facebook)! 1) It forces me to work on cosplay at least two nights a week. 2) I can answer any questions people have instead of typing it all out over and over again. 3) Hopefully to motivate people and inspire others to keep churning through their builds. 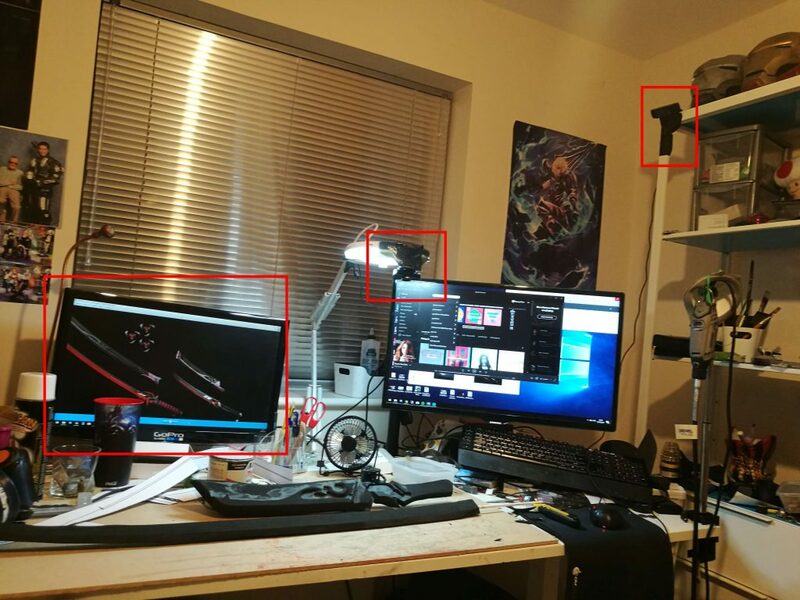 Obviously cameras are one of the most important things if you're streaming creative builds. The most important aspect is the quality of the video. For this, I would suggest nothing less than 1080p. One of the webcams that was recommended to me by twitch was the Logitech C920. I use this one as my room as it can cover a wide angle. The camera that faces my desk is the Creative Live Cam Sync HD Webcam. It proves 720p but since the image required is only small, 720p is sufficient. Your stream should capture what you're doing as much as possible. Since I'm poor, I can only have two cameras. Eventually, I'll invest in a third to be placed in the little workplace outside where my sander lives. The third screen I display is my desktop. This could be a screen capture or just a static picture to show people what you're working on at a glance. 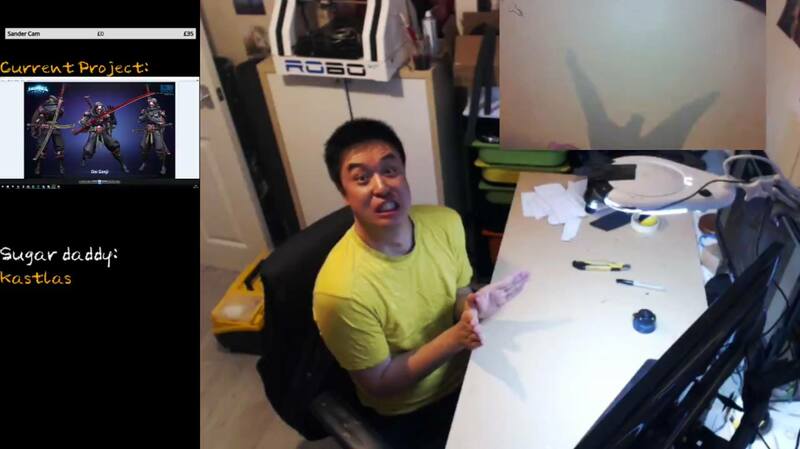 Good examples of creative streams are: Volpin Props and Artyfakes. Try to have a camera that captures as much as possible including yourself. I would suggest something high up that gives an overview of the room as well as your full body if possible. This gives the view a little sense of space. Obviously, people want to see what you're working on so a close up of your work area is also necessary. You can have this camera on a tripod, mounted on the ceiling or like me, duct taped onto various objects. The third is just my screen. I stream my second monitor so people can see the references I'm using! There are two category of microphones I use; static desk ones or portable ones. Sometimes, when I have people over, I use a higher quality microphone to capture everyone's voices at once. For this, I use the Blue Microphones Yeti USB Microphone - Silver Edition. 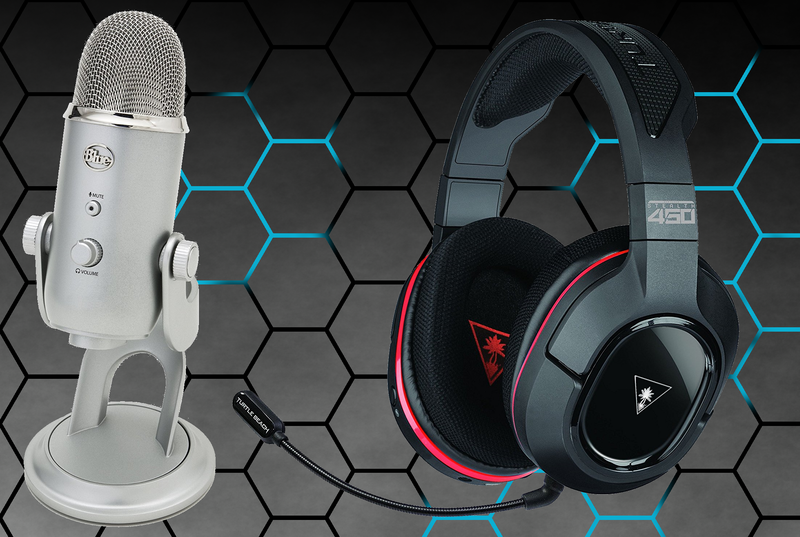 For day to day streaming when I'm on my own, I just use my gaming headset Turtle Beach Stealth 450 Wireless Gaming Headset - DTS Headphone:X 7.1 Surround Sound - PC. The reason I prefer this is because I move around a lot during my streams whether it's outside to the sander or to grab materials around the room. The wireless-ness of the headset gives me the freedom of movement as well as it ensures a consistent sound quality. One of my pet hates is that people talk in and out of mics which really fucks with the volume of the stream. Other creative streamers use more specialised microphones but again, I'm cheap and poor. The most popular ones are Open Broadcast Software and XSplit. I personally use OBS Studio as it's free and simple. I have tried XSplit before. It's great for professional uses but I'm cheap so I went with freeware instead. Obviously everyone would prefer to stream on fiber but it's not always possible. Only broadband is available in my area since they refuse to pull the line down my drive. Because of this, I have lowered the stream quality. Since it's not a gaming stream, the slight lower quality is tolerable for viewers. I currently have 12 mb down and 0.5 mb up. This is as fast as broadband gets! When I stream, every device in the house needs to get off the internet and connects to mobile internet. Streaming on mobile internet is possible but from my experiences, the connection seems to be a little flaky. Have you noticed those funky icons that pop up when people follow, donate or the automated chat moderation? All of these are extra plugins you can install. They basically act as a "pimp my stream" kind of thing. I have three things that are set up against my stream; chat moderation, donation tracking, and alerts. I personally use Moobot and Streamlabs to control all of these but there are other plugins you can instead. There are plenty of videos online that will help you set it up and it's pretty straight forward. Once a week, twice a week or maybe even 3 times a week! Try to keep it to a schedule. Like a TV show where people can tune in at a fixed time. Try to keep your audience engaged by replying to as much of the chat as possible. People will tune out when they get bored. It's important that you can see yourself to make sure what you're doing is still in frame but a lot of people like to watch themselves while they talk. Quit it! It looks weird. When you address the audience, look into the camera. Otherwise, focus on your work and not on yourself! There is a slight delay between stream and chat or maybe you were concentrating on your work and have neglected chat a little while. By repeating what they wrote, it will put your reply in context. Try to keep this to a minimum if possible. It sounds extra gross when you hear people chew down a microphone. My streams are catered for more "mature" audiences because I swear like a sailor and I dislike children because all they do is cry and get in the way. Remember to name your streams and make sure you're streaming in the right category! Make sure you have this switched on! Some people who missed your stream may want to go back and rewatch it. Why? I'm not sure but people do.